Summertime in Georgia is hot, humid, and sticky. Which means that you're either staying indoors for your fun or hanging out by the pool with the grill going and an ice cold drink in your hand. 1. Preheat oven to 350 degrees F. Chop jalapeno pieces into small bits. 4. Add baking soda, salt and half of the buttermilk while mixing on low. 5. Add cornmeal and mix very slowly until almost incorporated. 6. Pour in the remaining buttermilk and mix well. 7. Add the flour, corn and chopped jalapeno. Mix until fully incorporated and smooth. 8. Prepare a sheet pan by spraying it with baking spray and lined with parchment paper. Pour the batter into the pan and spread into an even layer. 9. Bake for 25-35 minutes, turning halfway. The top of the cornbread will be golden and it will bounce back slightly when pressed. 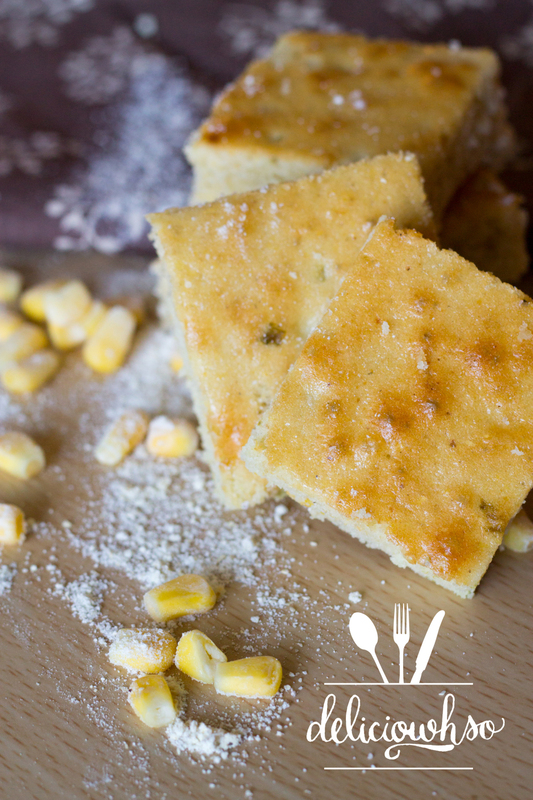 I love biting into this corn bread and getting pieces of corn. It adds an additional texture, and who doesn't like corn?! Plus, the jalapenos add a little kick that really makes this a treat! It's savory enough to enjoy indoors and outdoors. I made an open face sandwich with some BBQ chicken and bourbon peaches. It tasted amazing, but was definitely a fork and knife sandwich. 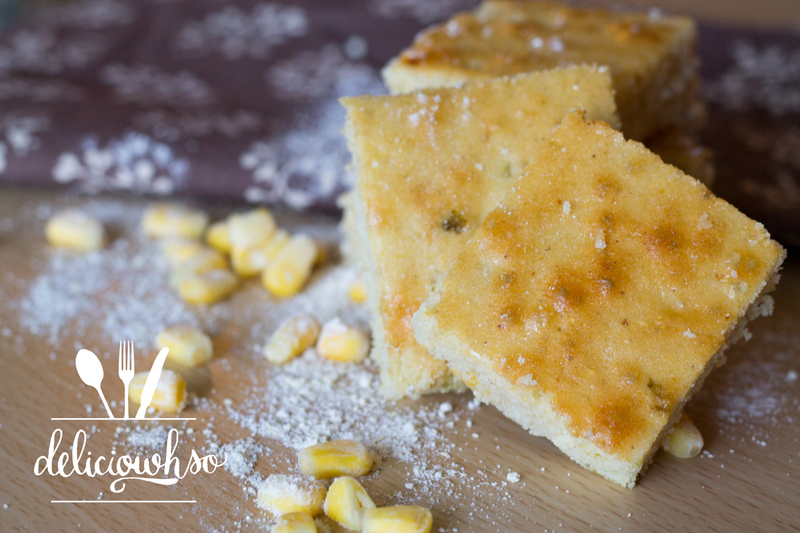 What would you pair your cornbread with?